If you're old enough to remember Star Wars' first run in the theaters, if you lived in the Mid-Atlantic or New England, you remember the Blizzard of '78 on February 6, 1978. People were snowed in for days. Cities were paralyzed. The National Guard was mobilized. Homes washed away. People froze on freeways in their cars. Thirty years later, survivors look back with awe, pride... and in some cases, sorrow. We were there. We survived. We remember. I was too young to know the danger -- all I remember is the wonder. We lived in Chester County, PA, right outside Amish country, among farms, fields, and little clumps of forests that looked like The Shire. Better to be there than in the city: we had a root cellar and food stored away, plus a full rack of split wood and a fireplace. It was still an adventure. My father was stubborn; he'd heard the weather reports, but stayed at work until the end of the day, then drove home. Or tried to. Country roads back east are older than you realize; a century or two of use has dug them down below high banks on either side. Snow blows across and falls into the trough. A mile or so from home (it's a miracle he got that far) it was just impossible to cut through. 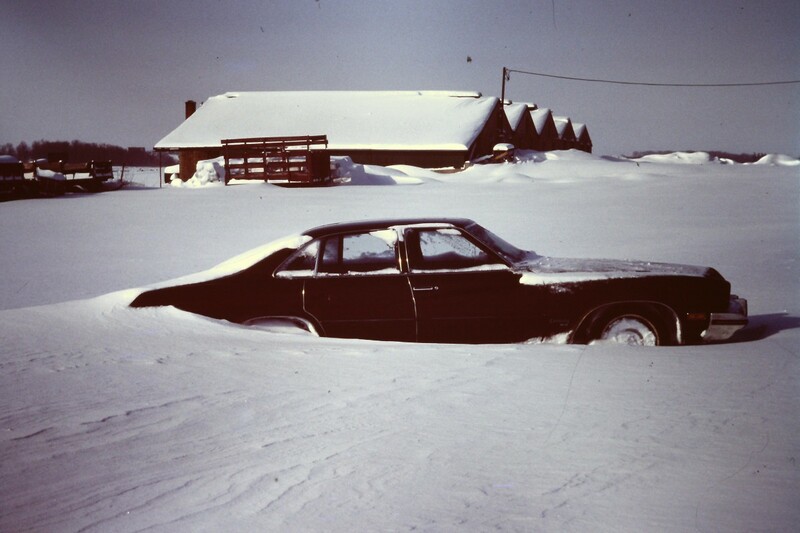 My Dad drove his Buick into a nearby farmer's field where the snowplows wouldn't catch it, then walked home. He's fortunate he made it home. Even pushing through snow up to your knees can be hard work, hard enough to cause heart attacks. Plus it's easy to get lost in white-out conditions. Dad ALMOST made it home before he had to bail out in a farmer's field. We trekked up the street the next day to find his old Buick in the drifts. Mom standing in the middle of the street. Our dog insisted on joining the party. My six-year-old self discovering that even when the wind blows away some of the snow, it can still cover the rhododendrons. Our front yard. Lovely drifting on the roof. At any rate, Dad got home, and we tucked in with the winds howling and the drifts blowing across the yard like ocean waves. I don't remember the night that well. I just remember the days after: walls of snow. I don't remember how long the power was out: that's what the Coleman stove in the garage, the fireplace and candles were for. Mainly, I remember hiking up the road each day in the bright cold sun, drifts higher than my head. My parents carried shovels. It took them some time even to find where the car was buried. Each day they'd dig a little more of it out, while I helped or played in the snowbanks, digging tunnels. We were snowed in for three days before the plows came. I think school was closed for even longer. I remember my little black dog hopping along in the snow-paths we made, his tail just visible at the top of each bound. Wow. Here's a comment left in the guestbook at the bottom of this page. Thanks, Rich, for taking the time to share your memories with us, and more importantly, for serving when we needed you most! “I was a member of the Massachusetts Army National Guard during the blizzard of 78. I was a young man of 24 and I remember it like it was yesterday. I first heard of the impending storm a few days before and I remember not paying to much attention to it. Well the afternoon of the first day was when I had a feeling that I was about ready to be called up with the national guard. Sure enough the next morning I heard the radio broadcasting " All members of the Ma national guard are to report to there local units." So on went my uniform and winter gear and off I went. Took me about an hour to get to the armoury at lincoln sq in Worcester ma. I lived only a little over a mile away. I made it through the snow and on foot no less. Well the duty came and I along with all the other guardsman followed the assigments. I was first ordered to take a c59 tanker filled with fuil and refule all emergency vehicals. Then I was on assigment to help get emergency people to hospitals or where ever they were needed. Still more to do. Find fire hydrents with a squad of men and shovel them out. Well I remember working with the worcester police to use our military trucks to get people to the emergency rooms when needed. Well that is just a short memory of where I was and what I did. I was on duty for almost a week before things were in such a state of near normal life again. I am Rich Smith and I was PFC in the ist bn 110th Ar of Hdq company lincoln square Worcester,ma. Here's a salute to all the national guard, police, firefighters, and emergency services personnel who get us through storms and earthquakes and everything else. You folks are heroes! Below: most of these amazing videos cover the "Storm of the Century" February blizzard that flooded and buried New England, but the Indiana and Fort Wayne videos below showcase the January blizzard in the Midwest that preceded it. Ever since the Blizzard of 78, which caught meteorologists and everyone else by surprise, a weather report about an incoming snowstorm triggers one of two reactions from the public (and usually a little of both): panic, and a run on supplies at local stores that strips shelves bare; or indifference, when people have gotten jaded by too many storm warnings and don't realize that this time, for once, the hype is warranted! Don't panic; just take precautions for that rare storm that proves or exceeds predictions. (Disclaimer: I am NOT an expert... check the FEMA Blizzard Preparedness website for official information. But here's some tips I've gleaned from other storm-related websites. Get some extra body warmers, and this kit could keep your family warm in an emergency even if the heat's out a few days. Emergency kit backpack -- great if you've got to go and aren't sure where or when you'll reach a safe haven! In winter, keep warm clothes, a flashlight, food, water, and kitty grit (non-clumping... it's great for traction) in your car for emergencies. A space blanket can be a life-safer. If you get stranded on the road, stay in your car unless you're certain you can reach shelter: remember, even half a mile can be too far. If you're running the engine to stay warm, OPEN THE WINDOW at least an inch... snow can block your exhaust pipe, and asphyxiate you with carbon monoxide! Save gas by running the engine long enough to warm the car, then shutting it off. Have a family plan, including what to do if some family members are at work or school. Where will you meet if you have to evacuate? Have at least one contact out of the immediate area you can all (hopefully) call to check in. Be prepared for power and heat to be out for several days. You'll need warm clothes, space blankets, lots of water, non-perishable foods, flashlights, regular blankets, and a first aid kit. 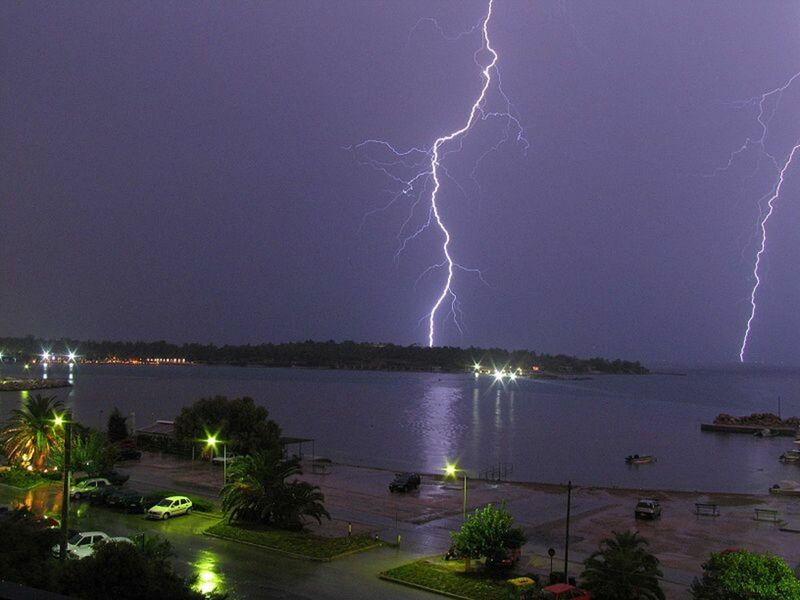 When you hear a storm is coming, charge all cellphones. They sometimes -- but not always! -- work when the power is out. Have a battery-operated radio and follow storm reports. You can even buy a special NOAA Radio that beeps and turns on to alert you of any severe weather warnings (see below). Set aside extra dry food, water, litter, and other supplies for pets. Practice collecting pets and putting them in carriers. The pets will hate it, but it's for their own good. Always have $100 cash available: ATMs and the bank won't be accessible if the roads are blocked and the power's out! Don't forget non-essentials: things to keep your family from going stir crazy. That may include a deck of cards, portable games, travel alarm clock, and/or FOAM EARPLUGS (if you have to go to a shelter). I remember it well in Pittsburgh, I had just purchased a new gravely walk behind tractor and it had a 48" blade I could put on the front. Cost me around $1500.00 dollars. After clearing driveways, parking lots, I had made more than the $1500. All I know is that it took me 6 hours to drive 10 miles from work to my home due to roads closed by drifts and digging myself out of drifts. Drifts were up to the second story on some homes the next day. Got real strange as I drove down mountain roads in Northeast Pennsylvania and looked out my driver's window and saw a guy skiing next to me. Fantastic lens as usual, this winter here in Dayton Ohio has been the worst since 81/82, but still 78' would take a lot to equal. Worst night I ever experienced since Vietnam.I worked for a service company and after I finished my last job I headed back to my office.When I got there everyone except for me and another guy had already gone home.I lived 10 miles from work,punched out at 4:30 and got home at 10:30 after getting my truck stuck in drifts,towing it out with another truck only to get stuck in another drift. Hell of a time to quit smoking. Wow that is one serious blizzard. We never get snow that bad in the UK, although we tend to grind to a halt with just a fraction of that! You'll be able to make a lens on The Blizzard of 2013 after this weekend! @TheCandle LM: Oof, glad you had a hotel that night. I've gotta pull together a chart of Blizzard of '78 vs. Blizzard of '13 (wow, has it been that long?) snowfall totals. Connecticut really got hammered this time! I do, although I remember the blizzard of '77 better because I had a music audition at SUNY Potsdam and we were on our way home from Potsdam to Kingston, NY, but couldn't make it. We got as far as the Saratoga area if I remember right and spent the night in a hotel. The storm totals you posted are pretty impressive. I just saw on the Weather Channel that someplace in Connecticut got 40" of snow from "Nemo". I'm still in the Hudson Valley and we got at least a foot, but I don't have the exact numbers. Thanks for the rewind! Nope, but we did have one hear (Klamath Falls, OR) about 6 winters ago now. 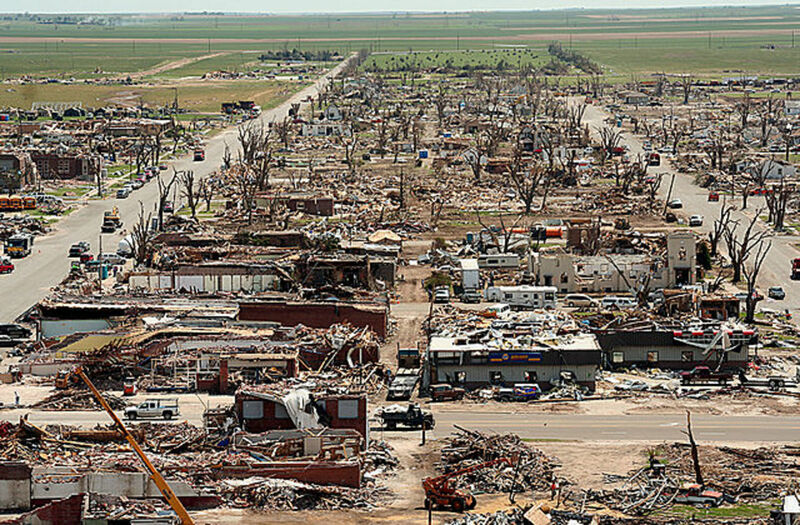 Buildings collapsed, people froze to death and all of that nasty stuff that comes with them. Thanks for your wonderful article! I was in Prince George and I was barely 1 year old... I'm sure if I was older I would have loved it!!! I love the snow, it is so beautiful... and as long as I would have been inside with my family it would have been all good. I was in college in Maryland at the time - they actually cancelled classes the next day! My grandfather had it much harder than we did as he was out in Berks county where there was much more snow than we had in MD. In Connecticut... it wasn't really that bad. I was five and got hit in the head with an old metal shovel during the blizzard of 78! Have a small scar to this day. I was young but I remember it well. The power was out but it didn't stop us from having a blast! We had a wood stove blasting out heat and we brought in the charcoal grill in the living room to cook hot dogs. Sure it was a bit smoky and very dangerous, but that's what family is all about. We also lit off a bunch of fireworks we had left over from the 4th and my cousin jumped off off our roof into a snowbank and broke his arms and lost three teeth. It was a week before we could get him to the doctors! Ha, what a time it was back then. oh horrible since reading ! i was not the witness of the blizzard of 78 but after reading the lens i feel it. This was the year I was born, so I don't remember it, but it is interesting to read what happened that year. great lens I remember that blizzard I was stuck at my sisters house for 4 days before I could get home. Such a vivid slice of history. You captured how a major event can be an adventure during childhood. I was on the coast of California. We'd drive to the mountains to see the snow. Your tunnels made me think of making a snow kitty when I was small. My mom has frequently reminisced about this blizzard. It was truly remarkable how much snow fell. Thanks for such an informative lens! I have pinned this. oh yes - I was young but I remember - snow way over my head ! I was 4. I lived in Haverhill Mass. It was something that you remember - even if you were only 4 ! (I do remember the dog going out on ice crusted snow, and falling in - and my father having to go dig her out - and it was a nearly all day project ... lol - it was quite a storm ! I remember this. I was in Ohio. My Mother ran the car into the ditch and we had to get a neighbor with a tractor to pull us out. The snow banks were so high, we couldn't go any further. I also remember that this was the time my Dad had open heart surgery so when we went to an appointment, I had to drive and I was very new at driving. YIKES! Cool lens. Blessed! Great lens! It makes me want to look up the winter of either 78 or 79 where I lived. I remember no snow and temps going down to -30!. I was 7 years old in Hope, BC in 78. We also had a notable blizzard around 96 or 97 in western canada. In jan 2009 we dug our way out of the driveway to drive from BC to Arizona. When we came back a few weeks later, the area was flooded with the fast melt. Terrific lens, it is very interesting! I like it. Congratulations on making featured lenses on Popular Pages. I was born in '78, just after the blizzard. Not that I would have been anywhere near it though. My parents might have heard about it on the news though. Great informative lens. I survived the winter of 1978 and remember it well. This was the January I went into early labor and we will all remember it forever! Its cool to have all the info gathered into a lens-well done! I wasn't born then, but I have had my fair share of winter storms. You know, the one thing nice about these storms is that it forces a family to come together. No electronic or anything to distract us. 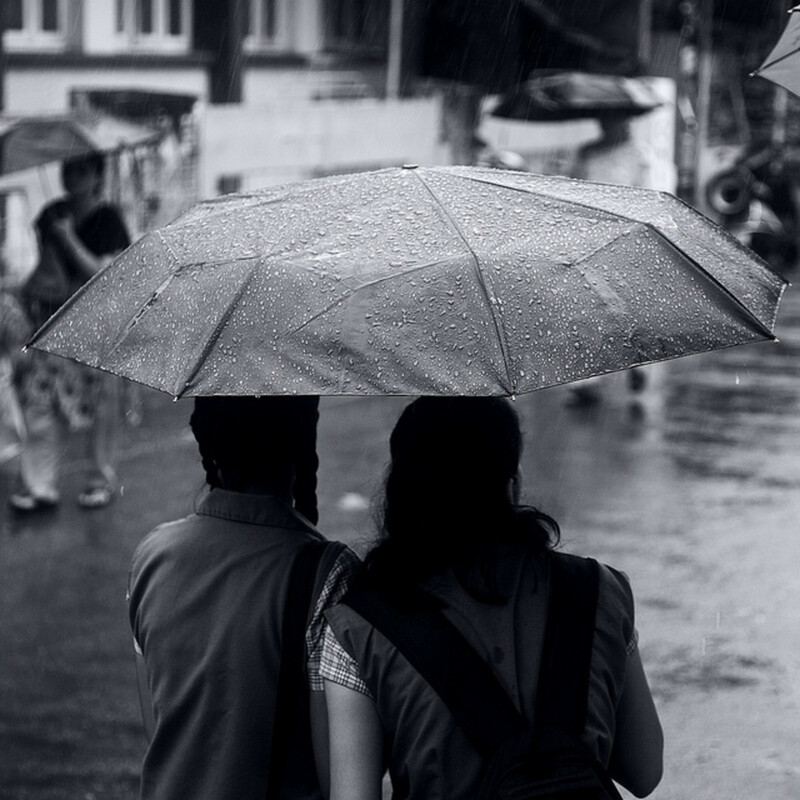 In an era where our lives are so fast-paced that we don't take the time to cherish relationships, perhaps what we really need is another blizzard! Nope, I was just a baby back then =D. But it's always great to read about events past. I was 14 that winter. I remember making huge tunnels in the snow and crawling in them. And when we finally went back to school it was only 1/2 day and all the classes either met in the gym or the cafeteria because they didn't have enough power to heat the whole school. 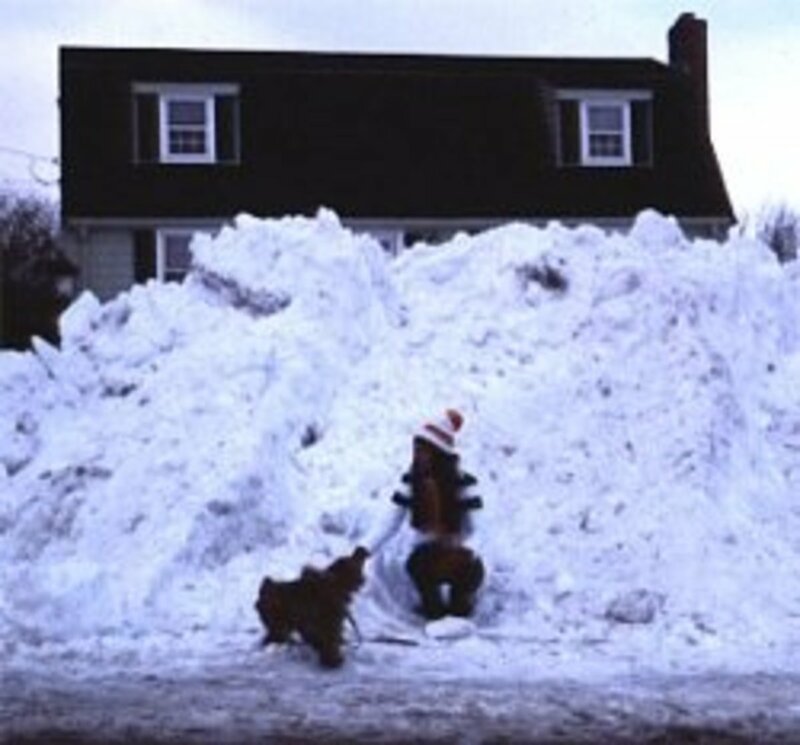 My family had just moved from Massachusetts to Washington State in the summer of 76', but my mother did receive pictures and a copy of the local newspaper from a friend of hers showing the vast amount of snow they had received that winter. I'm glad I missed it. It's funny though, as I read this lens, we are experiencing a snowstorm here in Western Washington, expecting up to 12 inches of snow in some places. I've already seen one car in a ditch. Great lens...especially on a night when we're having hurricane force winds off the Oregon coast, and they're forecasting several inches of snow. Brrrrrrrr! Absolutely! Was living in the Chicago suburbs and got stuck at Motorola overnight. Fortunately for me, my engineer friends lived right across the street from the campus so we trekked across the lawn (Motorola campus' are known for their sprawling lawns) and made it safely to their apartment. Our clothes were completely wet. Later that afternoon, we decided we needed some beer to get us through the party, I mean night, so about 6 guys pushed a car two blocks up to a 7-11, loaded it with beer and pushed it back to the apartment. One of the craziest things I've ever been a part of. I was 6 years old, and I vividly remember it, even today, I was with my dad, driving from Celina Ohio to Hamilton Ohio in it, Normally a 90 Minute drive took over 6 hours, This certainly wasn't an everyday event, I still hear people talking about it all the time, It is funny how those stories seem to get worse and worse as time goes on. 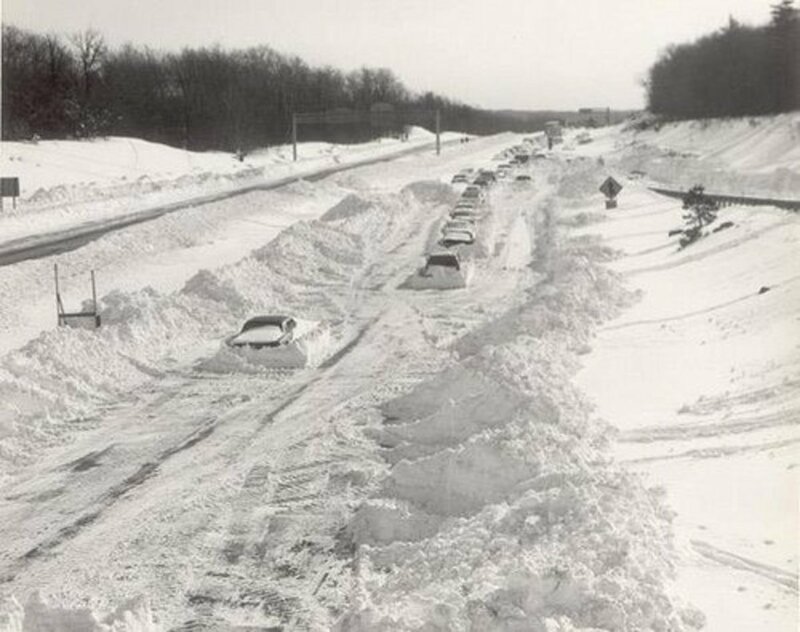 I remember the blizzard of '77 that paralyzed Buffalo, NY. I was on my way home from my grandmother's when I got caught in it. I recall it came up suddenly. Since I was halfway between her house and mine, I kept going to mine. It was a harrowing experience for a 19 year old. My family was freaking out because they didn't know where I was and we didn't have cell phones then. Through the grace of God I made it home safely. I was 12, growing up in western PA. We were out of school for a few days. I remember digging a maze of snow tunnels through the yard with my brothers and the neighborhood kids and thinking the whole blizzard deal was just a blast. Very interesting story! I did know all this! I was born in 1975 so I don't remember it. Sounds like it was pretty big storm. Thanks for sharing. I was living in Duluth, MN and working for a TV station, we shot film off the backs of snowmobiles and they hired a plow truck to pick up people we needed to get the film on air...as if everyone didn't know we were going through a blizzard. Those of us there had to spent the night in the station, and it was late in the morning the next day before we were plowed out. Thanks for jogging my memory a bit. 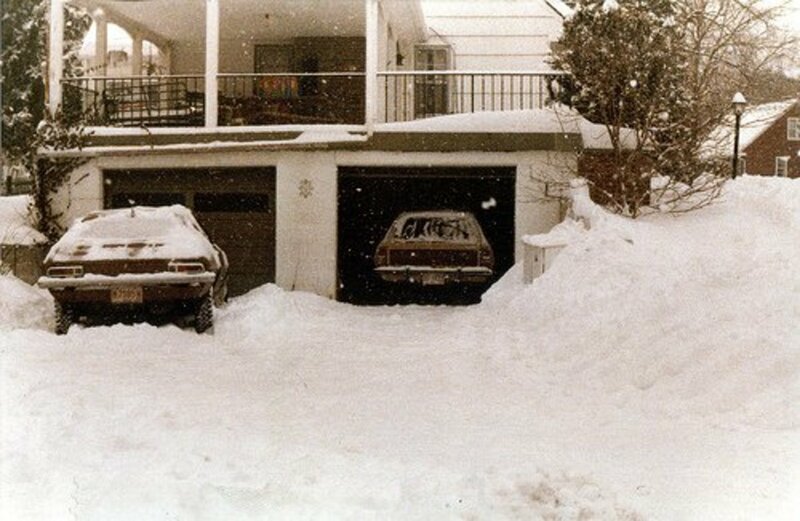 I lived in Michigan during the Blizzard of '78. My most vivid memory of that storm is digging tunnels in the huge drifts that were in the backyard. It was sooooooo cozy inside them compared to the freezing outside! We didn't have school for a whole week and it was 4 days before we ween the first plow truck. I do remember standing in line at the theater to see Star Wars on opening night, but it was in CA, so a long way from this blizzard. I had to look up when it was released - May 1977, so you are right, if you remember that movie, it was right about that time. I've never had to go through a blizzard and I'm glad. Seems like it would feel very suffocating and isolating, especially knowing that you can lose heat and ability to cook, along with being unable to travel or contact people. This is something you'd really need to prepare for! You know.. it's funny.. I don't remember it.. and I lived in Upstate NY!!! :) Blessed! Well done! I saw the whiteout conditions and snow piling up so fast, but it was our first blizzard, and I actually believed I would still get out. I made bread because the severe conditions outlasted our supply. It was a storm to remember! A fun and informative read! I love snowstorms. This sounds like it was a glory to behold! I had injured my eye a few days before and thus was sitting comfortably at home healing. I heard the horror stories from others of being stranded on the roads in Connecticut. 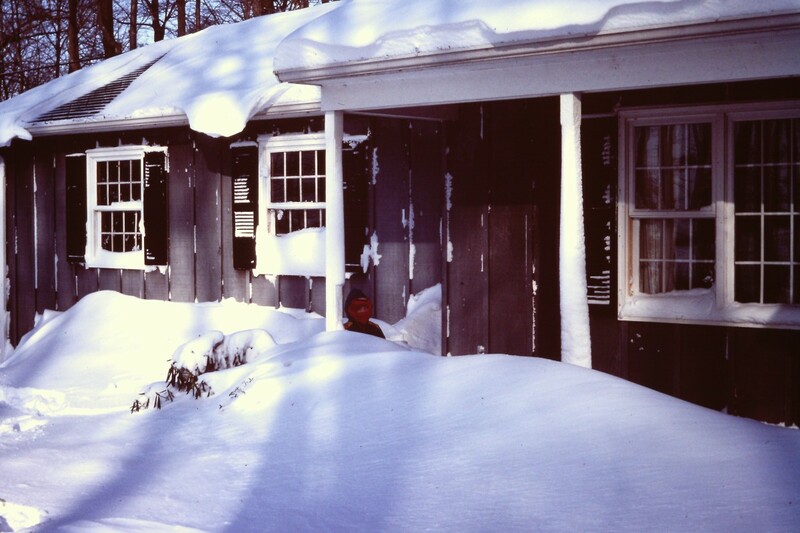 I have heard stories about the Blizzard of '78 from my parents and grandparents. I was at school in E Lansing that winter. Either the blizzard blew south of us or we were so use to the large amount of snow. I did not know about it until I went home to Ohio about a month later and saw all the huge piles of snow along the roads. I was living in the midwest in 1978 and don't remember this particular blizzard. But boy it sounds like a one to remember. Great article. We had a bit of snow that year in eastern Canadam too. :) I was storm-stayed at work for two days and nights, sleeping on the office floor and living on lunchroom leftovers. Put me right off having a "real" job for life! I remember it well. We lived on a farm that had a 1/2 mile lane to the north and a 1/2 mile lane going south, so either way we had lots of snow to move. We sold milk at the time and the milk truck would come every other day. My husband spent most of that winter opening one or the other lane so the milk truck could come in. At the time we didn't have a snow blower so the snow just kept piling up along the sides of the lane. Before the snow started to melt, we had to get maintainers to open the lane. One would hit the snow with his blade and then the second maintainer would pull him back. It was the longest winter ever. Now with snow blowers the snow doesn't pile up so bad. @glenbrook: Alas, I'm not a car enthusiast so I wouldn't be well-qualified to make such a lens, but thanks for the suggestion! According to the photographer, it's a "1959 Cadillac Fleetwood 75," whatever that is. Finny monsters were a little before my time. I am pretty sure we were hit here in Michigan by the blizzard. I remember about 3 feet of snow. I was there... in Massachusetts. Lucky for me I had an 11:00 a.m. doctor appointment and didn't go into the office. By the time I was out of the doc's office, then to the pharmacy, got stuck several times in the snow, then finally home about 1:30 and barely got the car into the driveway. Had I gone to work that day (on Route 9) I would have been stranded on the road or at the office. We had very little food in the house; had planned on shopping that evening. Little did we know we wouldn't be able to shop or go anywhere for days. We lived in a small building with 3 other apartments; 8 people in total. After several failed attempts to clean off the cars and shovel the driveway and walkways,we abandoned ship, pooled our resources and hung out together and had ourselves a party. What else could we do... in our 20's, in the 70's, in the worst blizzard of my lifetime. Ate a lot of peanut butter sandwiches and whatever else we could scrounge up. Consumed many beverages and became friends. Before that... we were just "hello" neighbors passing each other in the hallway. I have a dozen Blizzard of '78 stories... thanks for reminding me. FABULOUS lens!! Great memories. THis must be the snow my mom mentions when she says she let me get down to play and she lost me in the drift for a moment! She recalls the car being completely covered in the road. Yes, I was stationed at Maxwell AFB in Alabama and the snow literally stopped traffic and closed schools (and if I remember correctly, the snow accumulation didn't amount to much). 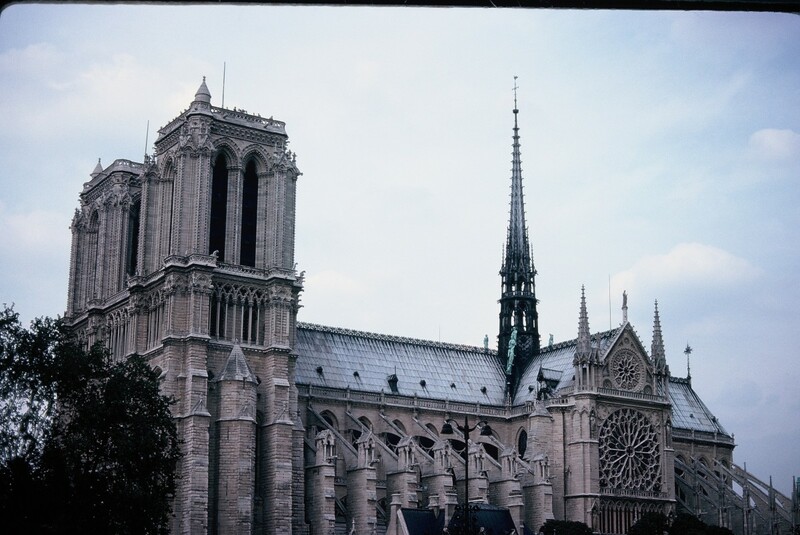 I do remember the locals marveling at the rarity of it all. I only remembered blizzards in Ottawa, Canada. This 78 one must have been something. I was 7 years old. My mother was driving us home from the Scranton Library during the beginning of the storm. It got worse and worse as we got closer to home, only about 12 miles away. We got within 4 miles of home when we became snowbound along woth all the other cars on the road. so there we sat. 4 kids and mom with only library books and a few candies to share. We sat there for hours until finally some people on snomobiles came along and scooped us up. they drove us to a nearby orphanage where they gave us hot chocolate and soup. we stayed there til the middle of the next day until pop came to pick us up. Such memories! I remember that blizzard! It was my first winter living in Ann Arbor (Michigan), as a grad student. For the first time ever, the University of Michigan was closed. I cross country skiied to campus to study with other fellow grad students. It's interesting that people were comparing this most recent blizzard (Feb 1 and 2) to the 1978 blizzard. We didn't get hit nearly as hard though (and that's fine with me!). I remember it well. I grew up in the snow belt between Lake Ontario and Siberiacuse. Thanks for posting this. I give winter driving tips and have cool stuff on my lenses if you like. Wow! 30 inches of snow in MA? That makes the recent snowfalls minor in comparison. First I've heard of the 1978 blizzard... Before my time. Interesting history!! I wasn't born yet in '78, but I've heard plenty of stories about the storm since I live on the South Shore of Massachusetts, where some of the most severe damage was. Watching the Massachusetts video is pretty unreal. I know every single spot on the video well. It's shocking to see! I know at least a few people who had to abandon their cars on Route 128 and other spots in Mass. I'd like to think we'd be more prepared for a storm of this proportions today with our current techonology... but who can be sure. For some reason, I just don't remember this blizzard. I'm from Vermont, where we get plenty of snow...You'd think this blizzard would have made an impression on me, but for some reason, it didn't. I remember the Ice Storm during the 90s, but not this blizzard. 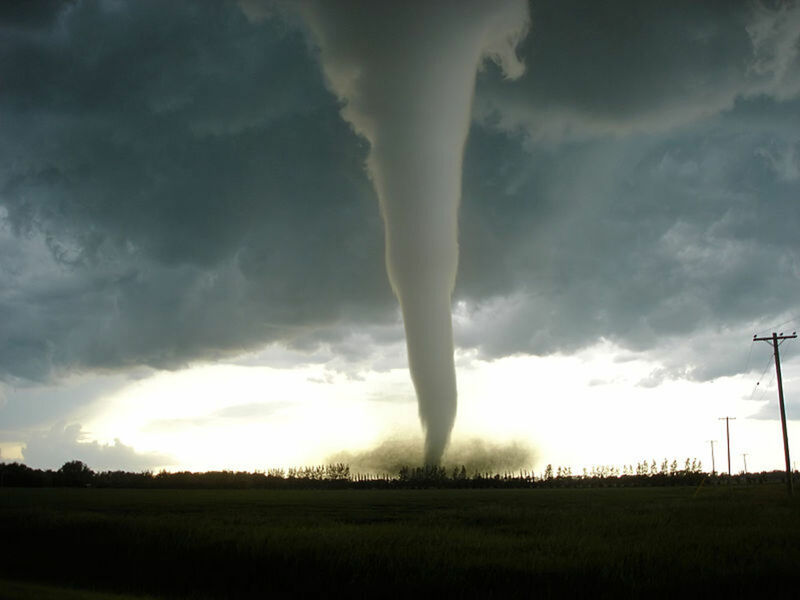 It was the night of the storm; my girlfriend and I had just attended a viewing and I was still in my short sleeved dress shirt (temperature was 64 degrees) as we were watching the local news. Bruce Ashbury (the weatherman) had said there was a massive storm headed our way and the front edge was 20 miles to the west. He indicated that he had know idea how big the storm was. I drove home to my parents house in sleet, and I wok up to 70 mph winds. Snow wasn't falling, it was being shot out of a cannon. This part of Ohio was virtually shut down for three days. There was still snow on the ground in May. That storm had altered nature's landscape. For instance: there have been no pheasants in the area since the storm, which in turn has helped keep the fox population down. I believe that the winters of '77, '78' and '79 have also contributed to the plight of the honeybee. I remember the blizzard of '78. I lived in southern New Hampshire, just over the Massachusetts border. Many of my neighbors worked in Masachusetts as did lots of my relatives. In New Hampshire the snow banks after the 3 storms were taller than the cars, but the roads were clear in 24 hours. My next door neighbor in NH was a National Guard member in a Massachusetts division, activated to help in the coastal towns. He was stopped by armed guards at the border until he produced his ID. It was tough but it was horrible for folks closer to Boston or along the coastal towns in New England. Pennsylvania has still not learned how to manage snow. I-78 has stranded motorists for days at least twice in the past 3 years during snowy periods. Wonderful portrayal of the nightmare of the adults and the joy of the children! Your videos are awesome. I especially loved the "music video" with the blended and fast forwarded images and stories. Sort of gives one a feeling of the true horror and panic that must have been felt by those involved with the storm. Bless you for telling the story and my added thanks to all our valiant heroes who put their lives on the line for all of us. I don't think we were affected in Kansas by this one. Reminds me of stories told by my parents though of blizzards on the Great Plains. Sorry for the delayed reply! Somehow I didn't get the email notice that there were comments waiting. I really appreciate your taking the time to tell us about your experiences! It must have been an incredibly grueling few days. I hope you take pride in the fact that you were serving your country in a big way, helping people out in a crisis. I've quoted your reply up above on this page to make sure people see it. Thank you! I was just 11 and of course as kids we loved it. One of the most memorable winters EVER. We had so much fun just being outside shedding &amp; digging out. I remember everyone helping everybody! Great memories! Very interesting lens. I love memory lenses when events like snowstorms make everyone feel united to survive or play or whatever. 5*/fav/PLEXO-ED! Stop by to vote - how-to-cope-with-snow. I was a member of the Massachusetts Army National Guard during the blizzard 0f 78. I was a young man of 24 and I remember it like it was yesterday. I first heard of the impending storm a few days before and I remember not paying to much attention to it. Well the afternoon of the first day was when I had a feeling that I was about ready to be called up with the national guard. Sure enough the next morning I heard the radio broadcasting " All members of the Ma national guard are to report to there local units. So on went my uniform and winter gear and off I went. Took me about an hour to get to the armoury at lincoln sq in Worcester ma. I lived only a little over a mile away. I made it through the snow and on foot no less. Well the duty came and I along with all the other guardsman followed the assigments. I was first ordered to take a c59 tanker filled with fuil and refule all emergency vehicals. Then I was on assigment to help get emergency people to hospitals or where ever they were needed. Still more to do. Find fire hydrents with a squad of men and shovel them out. Well I remember working with the worcester police to use our military trucks to get people to the emergency rooms when needed. Well that is just a short memory of where I was and what I did. I was on duty for almost a week before things were in such a state of near normal life again. I am Rich Smith and I was PFC in the ist bn 110th Ar of Hdq company lincoln square Worcester,ma..
@myraggededge: Stay warm and snug! I just got back from Utah and 20 degrees to the bizarre world of Southern California, where winter doesn't exist. It's weird remembering and travelling to "real weather". We are supposed to be having one tonight. Have been out and laid in essential supplies (wine, chocolate, etc.) and hoping that our power stays on! Thanks for all the great techie lenses and Squidoo help! @JollyvilleChick: Wow. Sounds like one of the best places to live besides a well-stocked farmhouse! I didn't realize that Providence got hit with a strike on top of the mess. I do remember it. I was a freshman in college, living in the dorms in Providence. The snowplow driver's union had gone on strike and were parked under bridges while the snow piled up. School was closed for a week. Being in the dorms was great - we had electricity, heat, and food. In fact, for a while, the school cafeteria was the ONLY place for some locals to get food. We had a culinary dept. so the food they got was good. I should remember this but I don't. I must have been living obliviously out west. i remember it like it was yesterday a nearly died out their well lucky me hehehehe I'm glad im still a live. 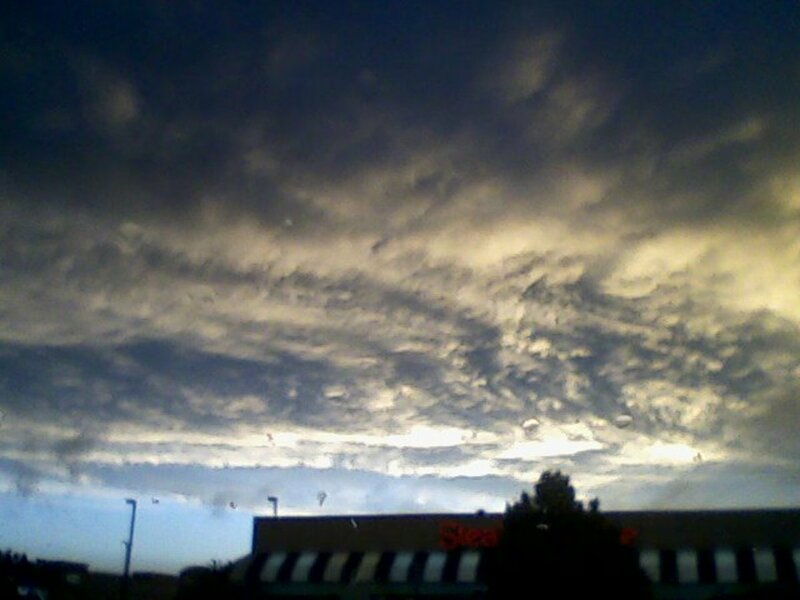 I remember this storm very well. I was 10 at the time and we were off school for a week in Southwestern Lower Michigan. I love all your pics &amp; videos here. I have a lens called Extreme Weather that sites this blizzard. I am going to lensroll this lens to mine! 5 *'s and I am faving it too. Welcome to Winter and Snow group! I remember the blizzard. I still remember my dad shovelling the driveway and the huge piles of snow next to him. He is six feet tall and the piles of snow still towered over him. 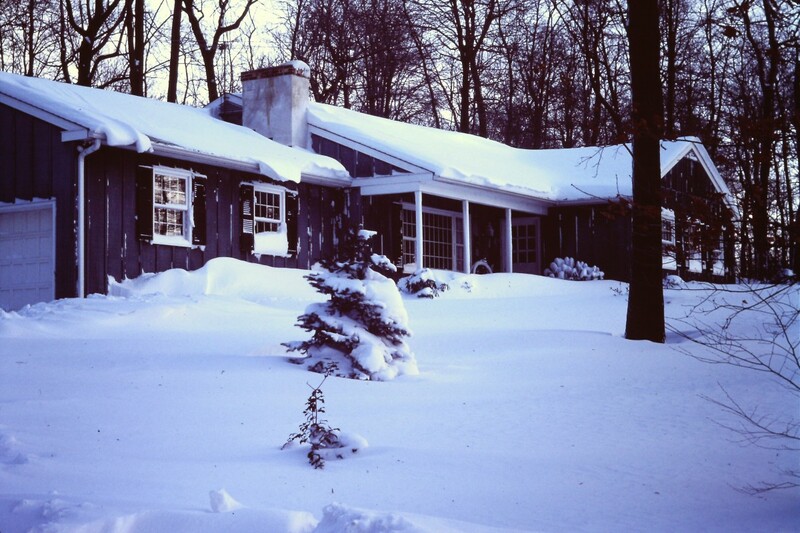 I moved from FL to CT in the late spring of 78. This was the first snow I remember seeing. It was still on the ground in shady, wooded areas. I remember it!!! 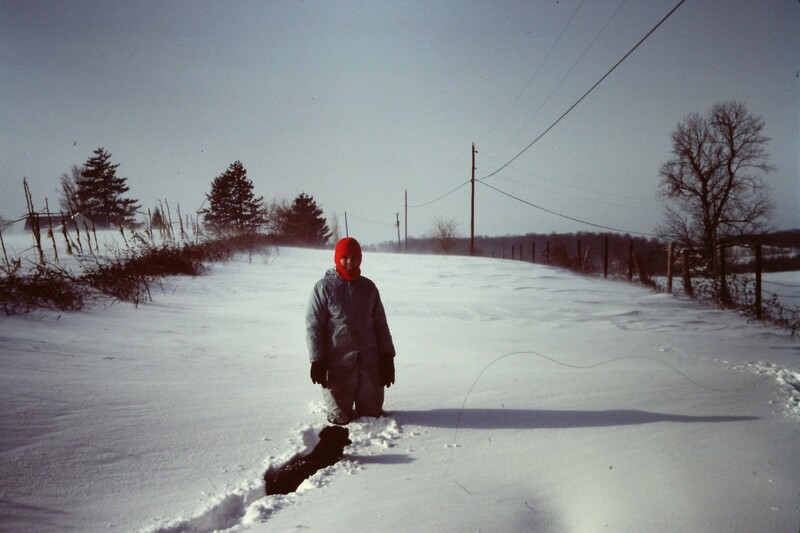 I have pictures of me standing on a bank of snow with a telephone wire at my waist!! LOL We had a drift in our driveway that reached the roof of our house. I lived in Buffalo NY at the time. Thank goodness I am Southern California now and don't have to worry about it anymore! I do not miss the snow. I don't really remember it, but I've seen pics of myself playing in the snow afterward. 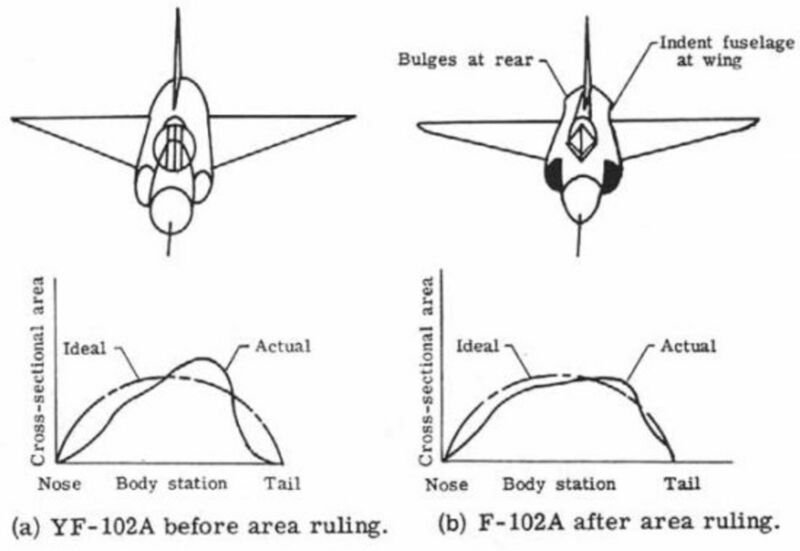 Really cool (BRR) topic!